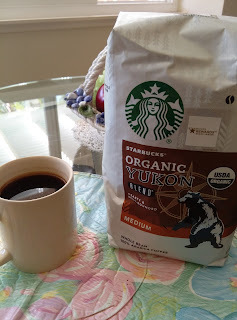 A few months ago, I started buying organic coffee from Costco and haven’t really looked back since. I have found that not only is the price reasonable for 2 pounds of coffee, but the flavor is better and brewing it with filtered water provides a better, fresher flavor, smell and effect than normal coffee. I thought it may have been all in my head but I recently had non-organic coffee with and without filtered water and noticed the difference immediately. While the taste isn’t bad, I have found that organic coffee in filtered water comes out that much better to have a noticeable improvement. In short, while I can, I plan to continue drinking coffee this way as I enjoy good coffee as part of my morning routine.